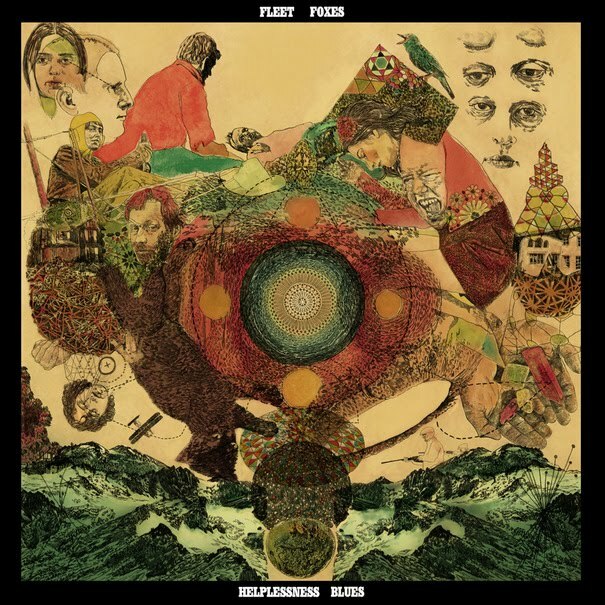 Atlas and the Anchor: Fleet Foxes - "Helplessness Blues"
Fleet Foxes return with Helplessness Blues, one of the most highly anticipated albums of the year, out today on Sub Pop Records. With almost three years between releases, the band’s unexpected fame brought about new opportunities, some self-doubt and recording trouble but the new album produced by Phil Ek (Built To Spill, Shins) shakes all of that off to reveal growth, new experimental instrumentation and even more trance-inducing vocal harmonies, that shines through all of the hype heaped upon it. Album opener “Montezuma” floats in on a cloud of dream-like harmonies that outweigh the introspective lyrical themes of longing and regret for a perfect reintroduction to their psychedelic folk-pop. “Bedouin Dress” stands out with some gypsy-like violin from guest Alina To and slide guitar, adding a touch of old world style to the country-inspired tune. “Sim Sala Bim” is ethereal and wide-open before launching into a back-porch jam to end the song. The upbeat “Battery Kinzie” features a pounding beat and stair-stepping piano with an effortlessly catchy melody. Standout track “The Plains/Bitter Dancer” builds slowly with a cyclical intro, leading into a harpsichord and flute led tune with their signature CSN-like vocal prowess in tow for one of their most experimental songs yet. The title track and first single, “Helplessness Blues” charges in with an acoustic guitar driven rhythm that needs little percussion to propel the song. “The Cascades” provides a pretty, instrumental division between the album’s two sides. “Lorelai” is a breezy, waltz with winding Beach Boys-inspired harmonies and harmonium. The short “Someone You’d Admire” showcases the true strength of the band with their amazing group vocals and just a simple acoustic guitar accompaniment and is followed by the orchestral swells of the epic eight-minute “The Shrine/An Argument”. The star-gazing “Blue Spotted Tail” is a cross between traditional and 70’s singer-songwriter folk. And the second single, “Grown Ocean” closes out the album with pedal and lap steel guitar and fluttering woodwinds, proving that the band pays just as much attention to the arrangements as they do their complex vocal melodies. 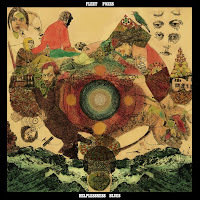 With Helplessness Blues, Fleet Foxes have delivered on the promise of their excellent debut, creating another "album of the year"-worthy performance.